Bayco Confectionery has always been associated with quality products. 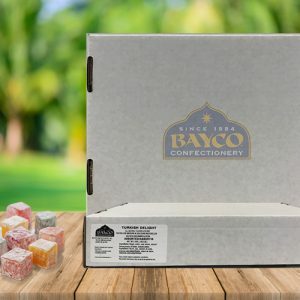 In accordance with a traditional Turkish recipe passed down through generations, each batch of Turkish Delight is precisely and caringly handcrafted to create a unique product, delicately flavoured and lightly scented. We use all natural ingredients to create our many varieties of Turkish Delight. 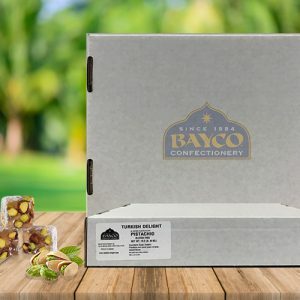 Our pistachio Turkish Delight is the most popular nut-based product. Only the highest quality imported pistachios are used to create this very popular product. 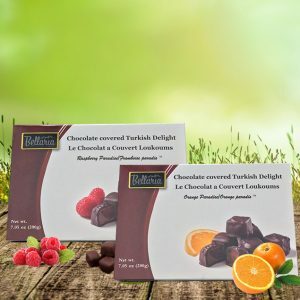 Our assorted and fruit Turkish Delights are subtly flavoured with natural fruit and citrus and berry extracts of raspberry, lemon, lime, blueberry, strawberry, orange, apple, peach, blueberry and rose. 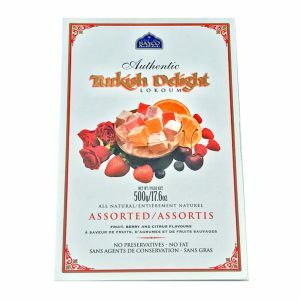 We offer our Turkish Delight in an assortment of quantities and packaging. 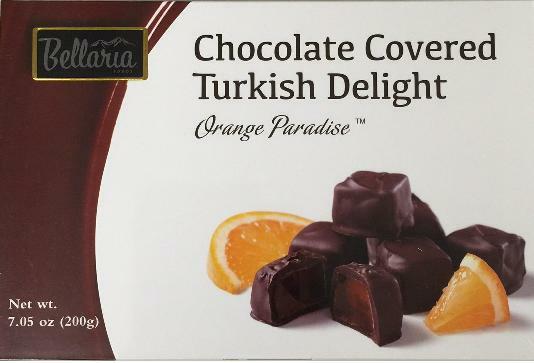 Assorted bulk and gift packages will include at least five of the above-mentioned flavours. 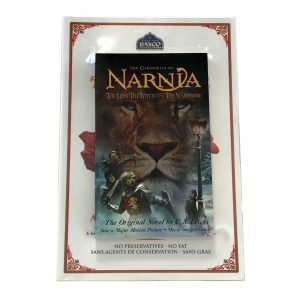 We also offer a variety of attractive gift packages. ALL OUR INGREDIENTS ARE NATURAL, GLUTEN FREE AND VEGANTo view a complete list of our products, please click here. 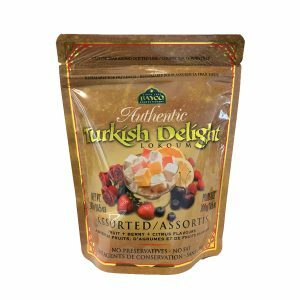 Ingredients for FRUIT flavoured and/or assorted Turkish Delight: Sugar, water, corn starch, natural flavors, cream of tartar, natural colors. May contain traces of nuts and shells. Ingrédients: Sucre, eau, amidon de maïs, aromes naturels, créme de tartre, colorants naturels. Peut contenir des traces de noix et de coquilles de noix. Ingredients for ROSE Turkish delight: Sugar, water, corn starch, natural rose extract, cream of tartar, natural colors. Ingredients for ROSE & LEMON Turkish Delight: Sugar, water, corn starch, natural rose extract, oil of lemon, cream of tartar, natural colors. Ingredients for PISTACHIO Turkish delight: Sugar, water, pistachio nuts, corn starch, cream of tartar, natural vanilin. May contain traces of other nuts and shells. 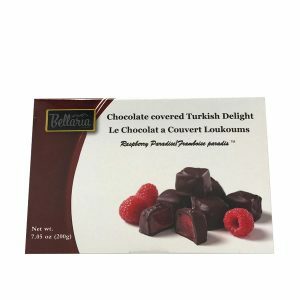 Ingredients for CHOCOLATE COVERED RASPBERRY AND ORANGE Turkish delight: Ingredients: Turkish delight-Sugar, water, corn starch, natural flavors, cream of tartar, natural colours. Dark Belgium Chocolate- Cocoa mass, sugar, cocoa butter, emulsifier soy lechitin, natural vanilla. May contain traces of milk,nuts and shells. Ingrédients: Sucre, eau, amidon de maïs, aromes naturels/artificiels, créme de tartre, colorants naturels/artificiels. Belgique chocolat noir- Pâte de cacao, sucre, beurre de cacao, émulsifiant soja lechitin, vanille naturalle. Peut contenir des traces du lait, de noix et de coquilles de noix. Please note that the corn starch (food grade) used in our production is manufactured from corn and does contain corn protein at low levels. It does not contain gliadin gluten from wheat, barley or rye grains which may cause adverse allergic responses in some persons. 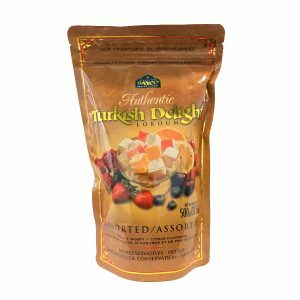 Flavors and colors in our Turkish delights do not contain gluten sourced from wheat, barley, rye, oats, spelt, tritical, kamut or their derivatives. Click here to find all Nutrition Facts label. Per 14 Gram Serving (1 Piece).